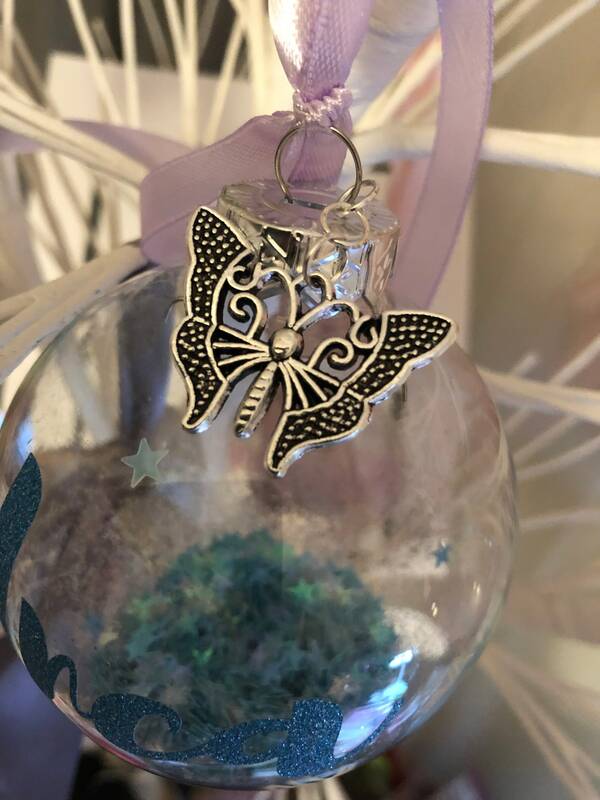 Stunning hand made Blue Edition Glass Bauble embellished with a silver Butterfly. Personalised with the name of your choice making this a perfect gift for someone special making this a unique edition to your Christmas festivities this year. 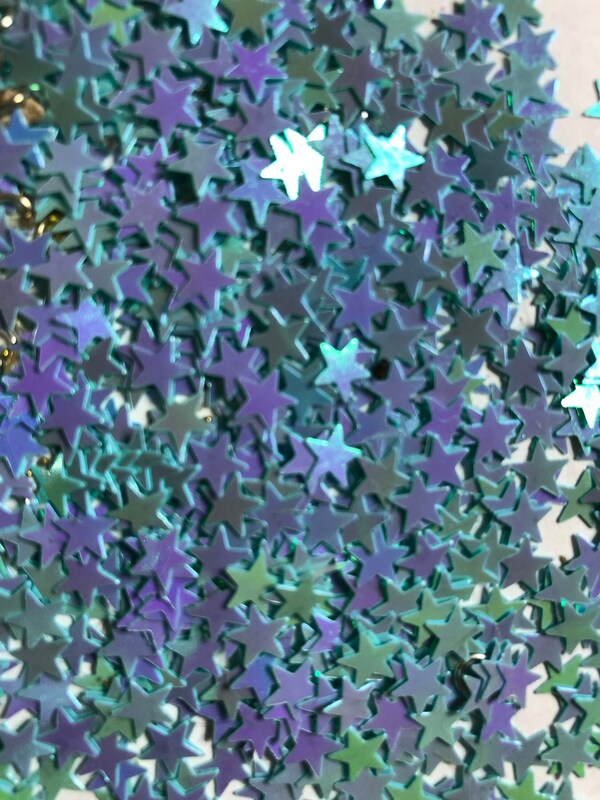 Bauble is filled with blue star confetti, silver glitter and finished with a lilac ribbon to hang on your tree. 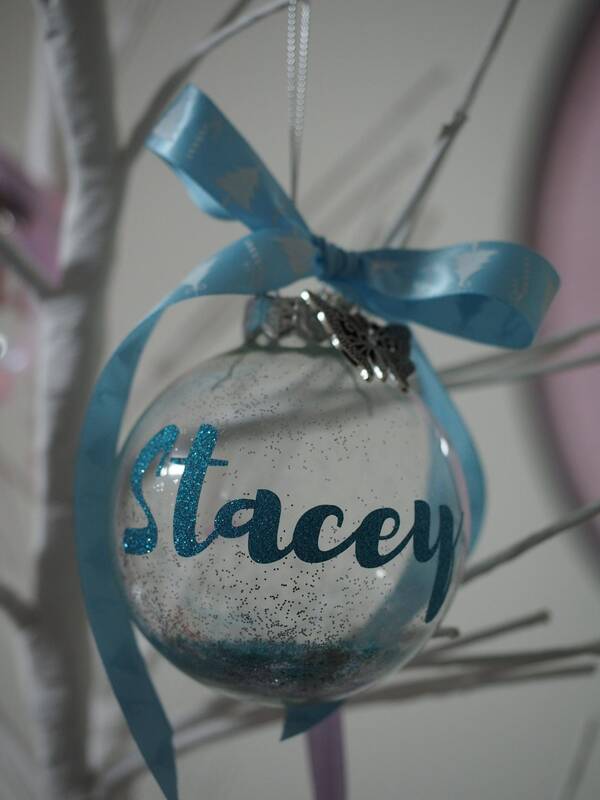 This item is available in both 8cm and 10cm bauble sizing (please choose from the drop down menu). 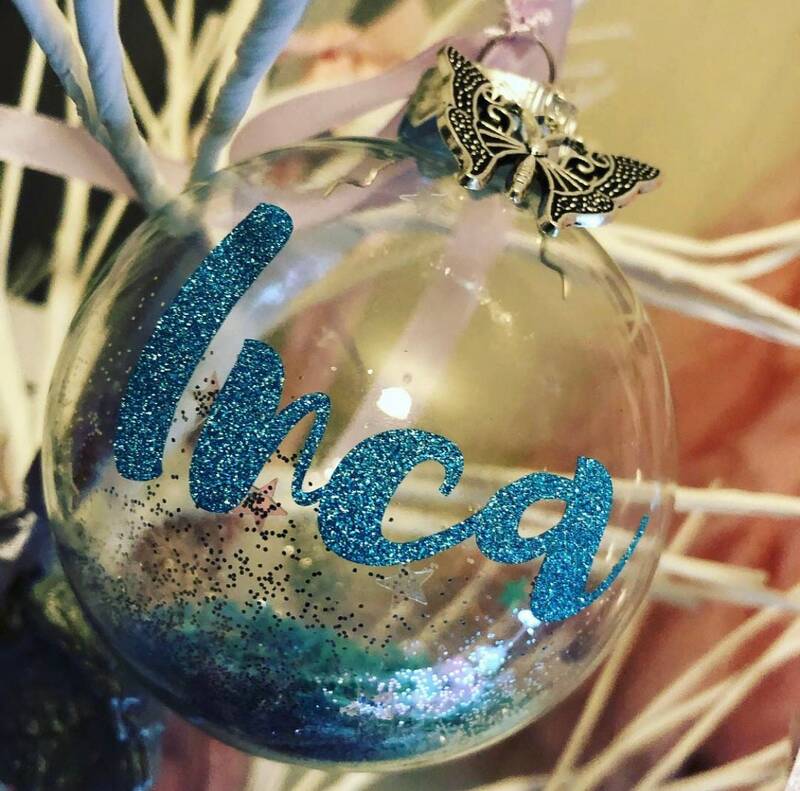 When ordering please leave a message in the comments section for the name you would like on your bauble. Alternatively, please send us a message for any special requests or enquiries you may have regarding this item. Production time after receiving your order is currently 5 days + shipping time. Please note that shipping is inclusive of Signature on Delivery.